GraniteShares is set on disrupting the ETF landscape by bringing new ETFs to market that put investors first. GraniteShares CEO, WIll Rhind, discusses why gold may be an important component of any portfolio and how to access physical gold in a low cost, efficient manner with BAR. With the stock market still touching all-time highs and yields still recovering from historic lows, investors are likely searching far and wide for ways to diversify and/or increase their income. In this webinar, GraniteShares CEO Will Rhind will discuss why, in a rising interest-rate environment, investors may want to take a closer look at pass-through securities as a potential alternative to bonds or dividend paying stocks. Investing involves risk, including the loss of principal. Investment income and dividends are not guaranteed. Distributor, Foreside Fund Services, LLC. 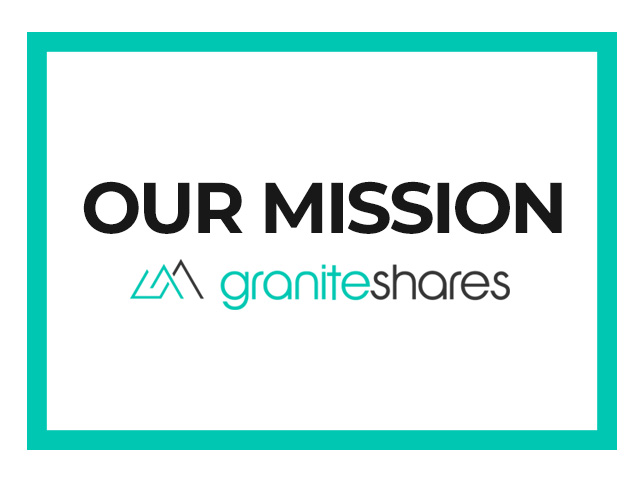 GraniteShares is an independent, fully funded ETF company headquartered in New York City.